What Are the Most Common Reasons to Need 24 Hour Electrical Service? If you’re unsure about how necessary 24 hour electrical service is for your situation, it might help to consider the benefits. Most companies can handle repairs during regular business hours, but that isn’t always good enough. It’s not like you stop needing functional electricity after you get home from work! For people who own a business, losing power at any time can be costly and frustrating, and the sooner things get back on track, the better. Whether it’s for your commercial space or your residence, a 24 hour service ensures your electrical issues get repaired without delay. 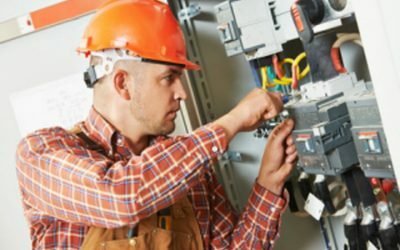 What Kind of Situations Require 24 Hour Electrical Service? Is 24 Hour Electrical Assistance Still Useful for Non-Emergencies? Even if your problem isn’t an emergency, if it is having a negative impact on your commercial space or home, you should address it as soon as possible. Some issues can become much bigger over time if ignored, which can lead to more expensive and time-consuming repairs. For business owners, this can hurt in more ways than one. The longer a problem takes to get resolved, the more it can cost in lost hours of operation. Customers won’t want to visit an establishment with no electricity, and no one wants to see electricians opening up your walls during peak hours. Even minor electrical problems can become safety issues if you don’t seek out assistance right away. Keep the people sharing your space safe and comfortable by putting your trust in a reliable company that can get help to you 24 hours a day, whenever you need it. If you’re unsure of whether you need repairs done, you can even get guidance over the phone that can clear up any confusion. When you are dealing with an issue as critical as electrical services, there’s no reason to settle for less than expert assistance. Choose the proven professionals in your area who have a strong, loyal customer base and a qualified team that goes above and beyond to meet your electrical needs. For more information about 24 hour electrical service and the countless ways it can benefit your home or business (or both), give the professionals at Bryan Electric, Inc. a call at (770) 680-2144. We’d be happy to walk you through the services we provide and answer any questions you might have.